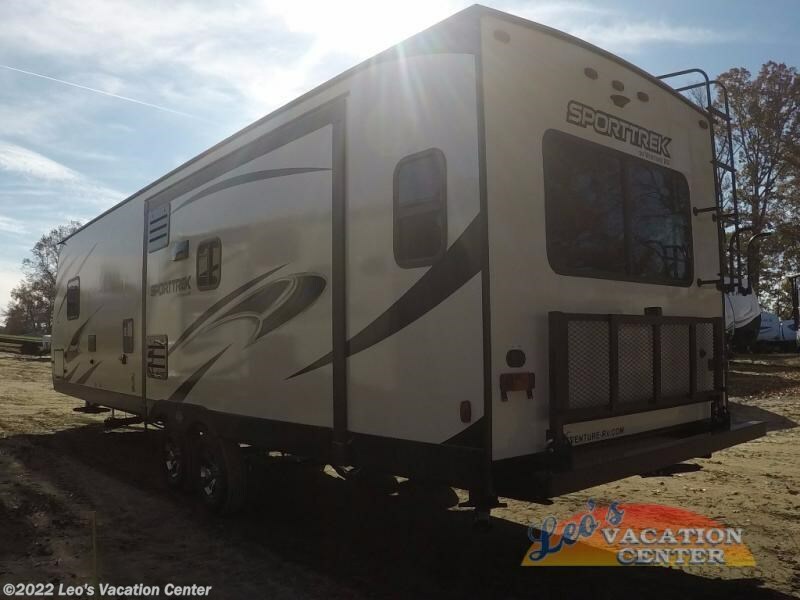 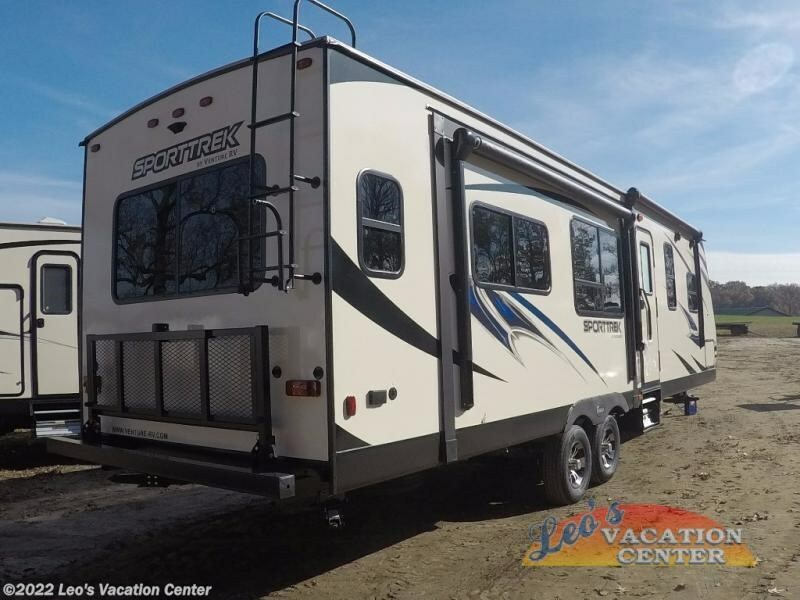 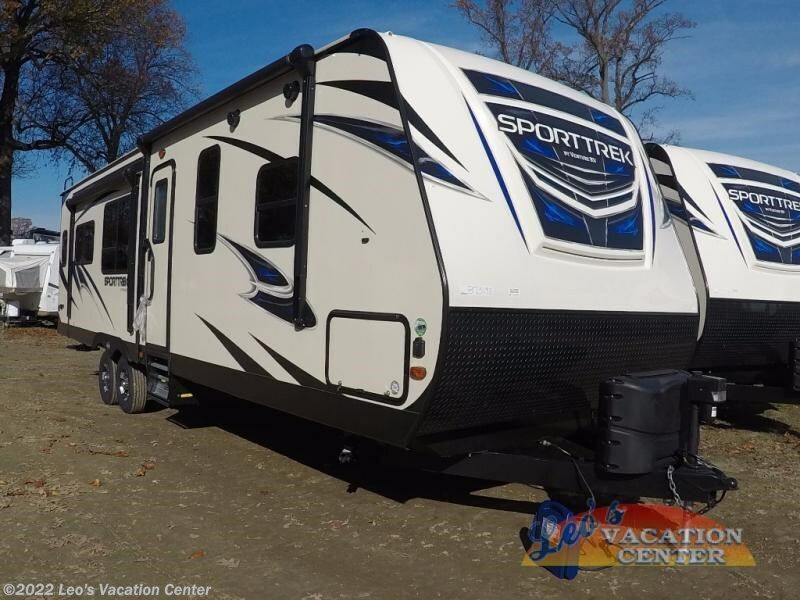 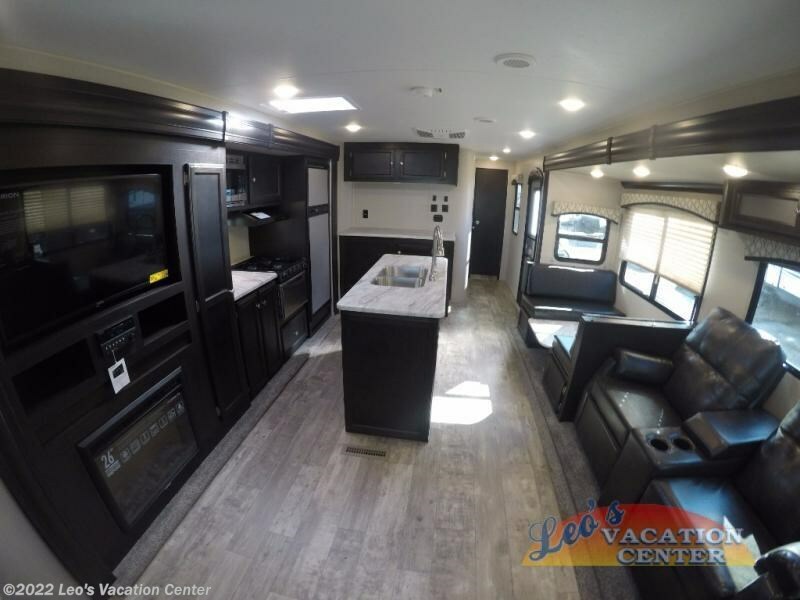 Double slides, a rear living area, and a kitchen island are a few of the key features in this SportTrek 290VIK travel trailer by Venture RV. 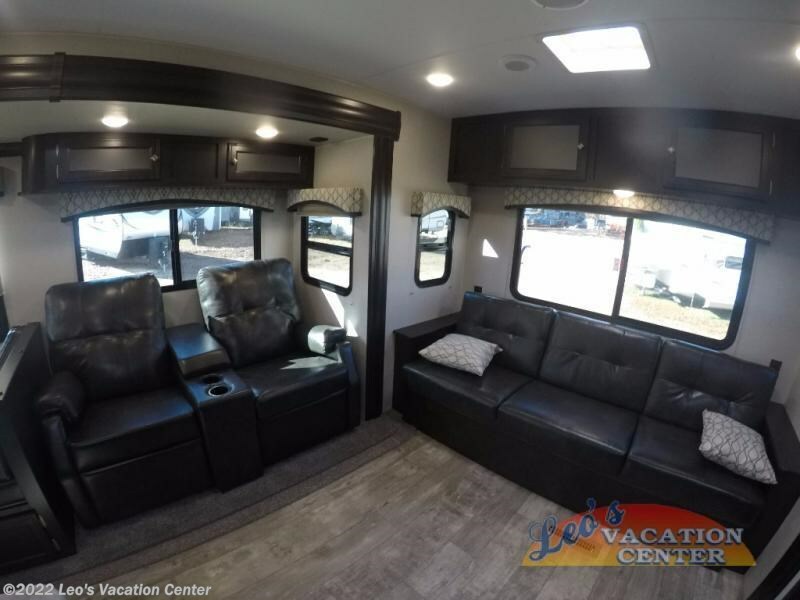 To the left of the entrance there is a slide with a dinette and two theater seats with cup holders and an overhead cabinet. 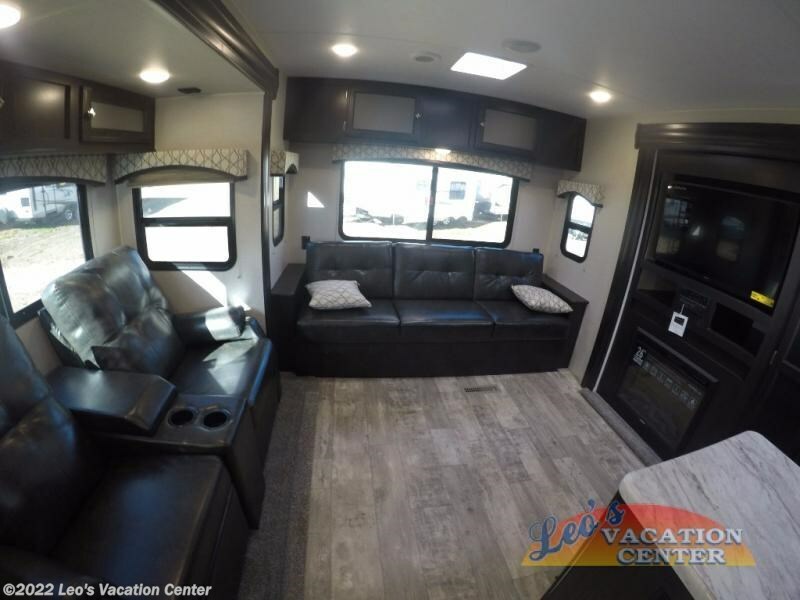 Along the full rear wall you will find a 82" sofa and overhead cabinets. 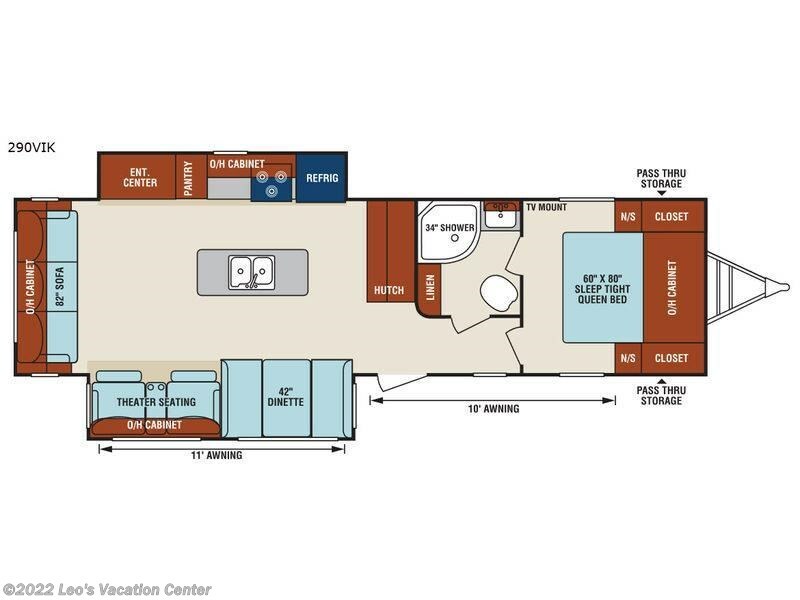 The second slide in the main living area has an entertainment center, pantry, three burner range, and a refrigerator. 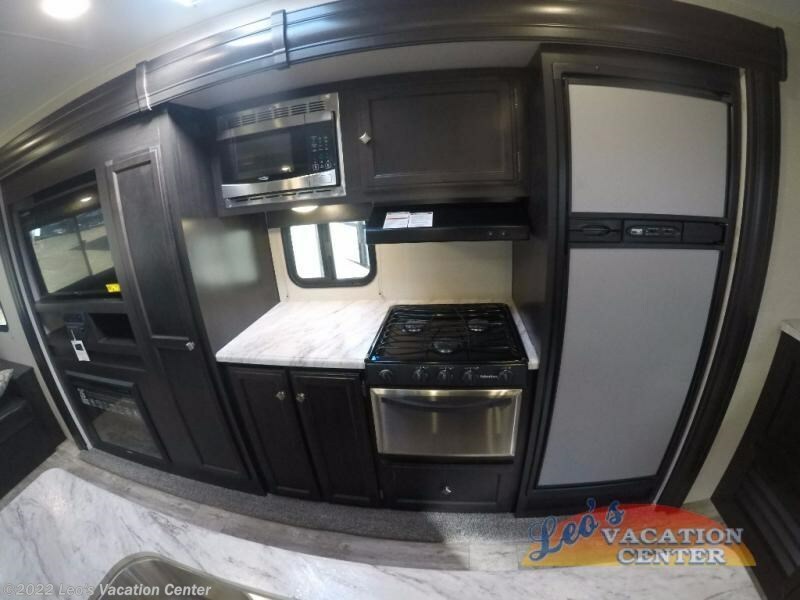 Next to the slide there is a nice size hutch with additional storage and a countertop. 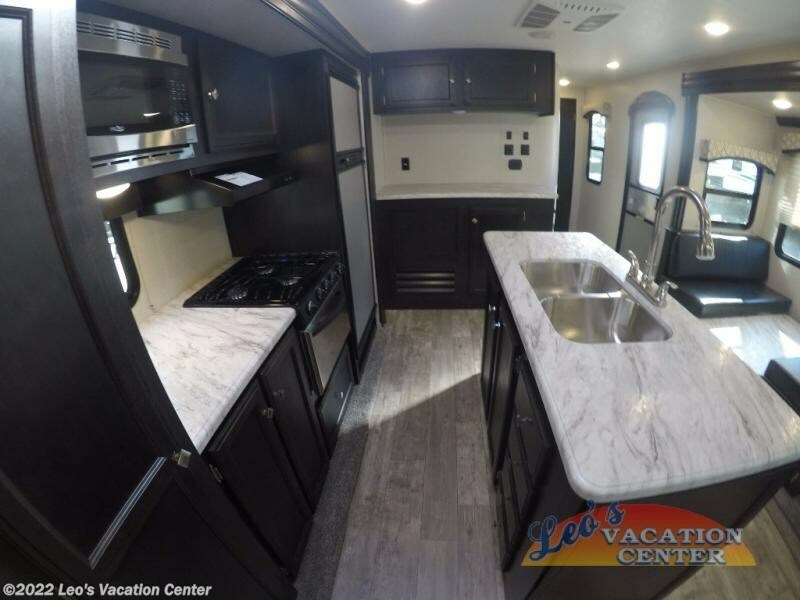 The much desired kitchen island has a double sink for easy clean up, and extra counter space for preparing and serving meals. 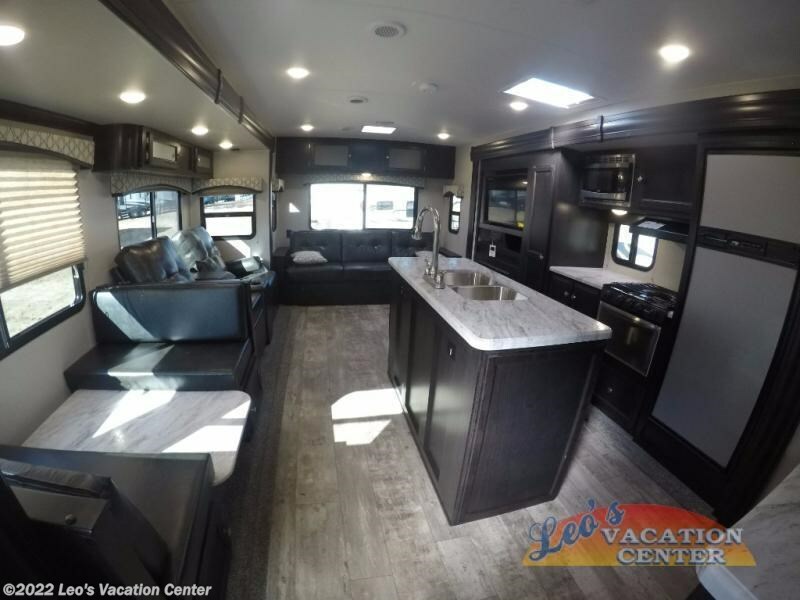 Now that is a wide open living room and kitchen for entertaining family and friends. 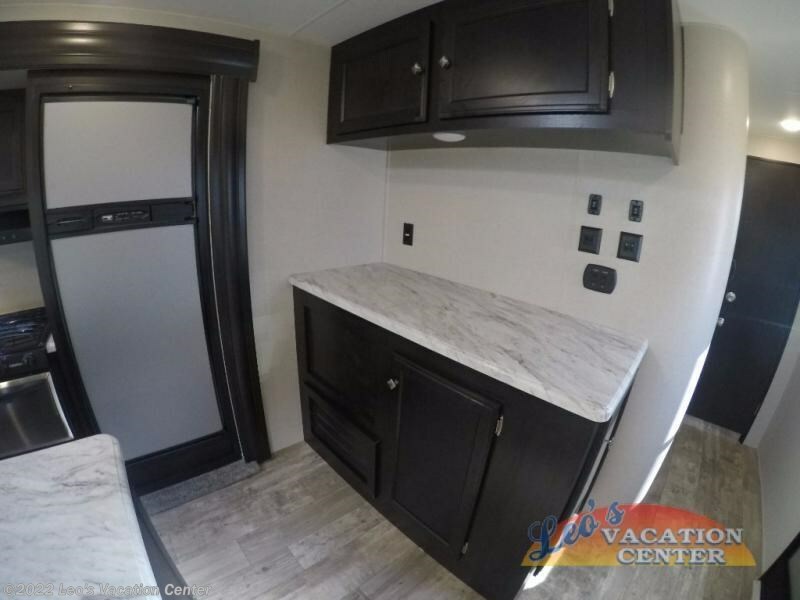 Proceed towards the front of the trailer and find the side aisle bath. 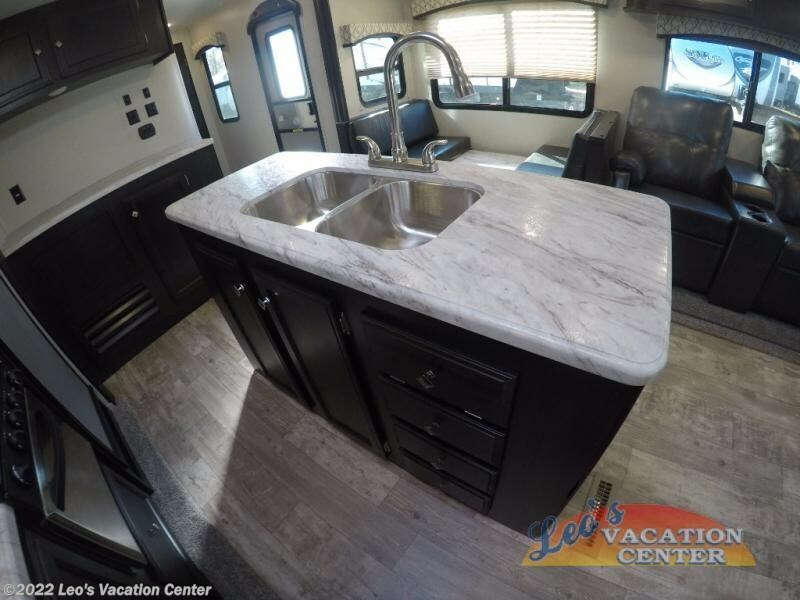 The bath provides a toilet, sink, radius shower, and linen cabinet. 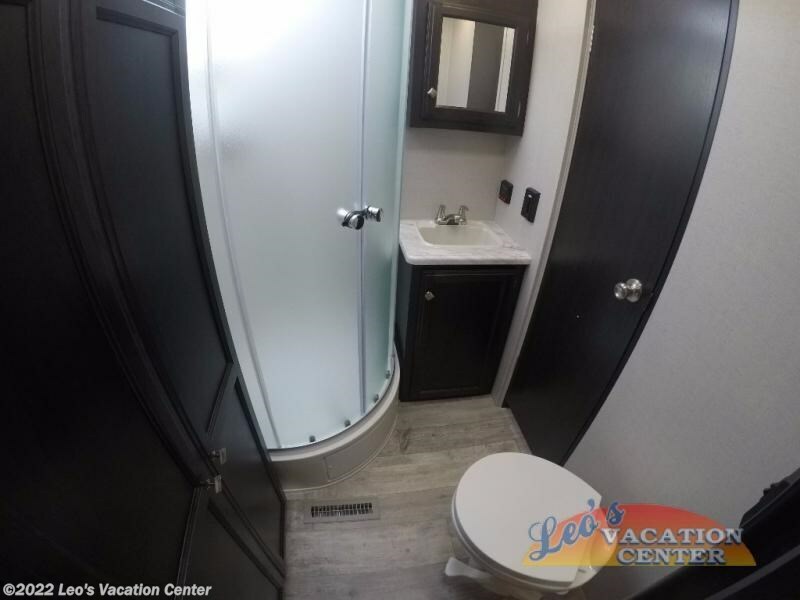 There is also a private entrance from the bathroom into the bedroom. 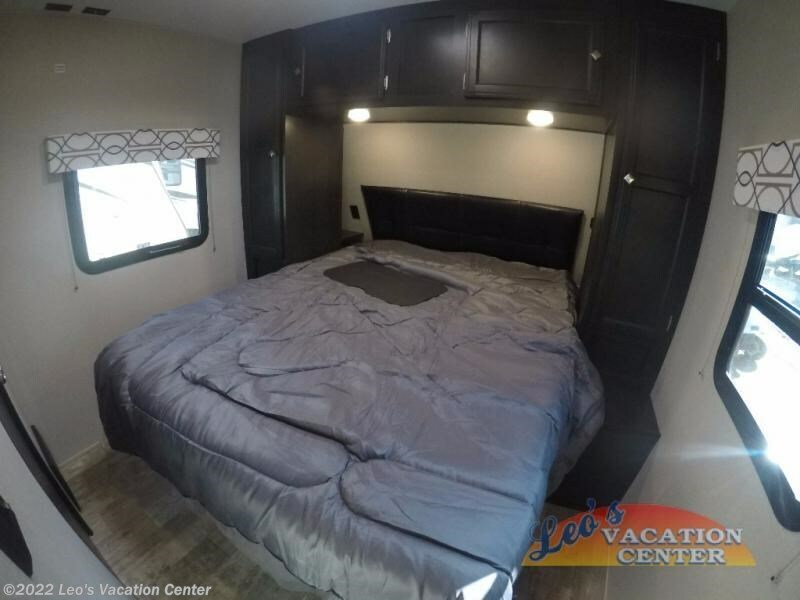 The front bedroom offers a Sleep Tight queen bed, dual closets and nightstands. 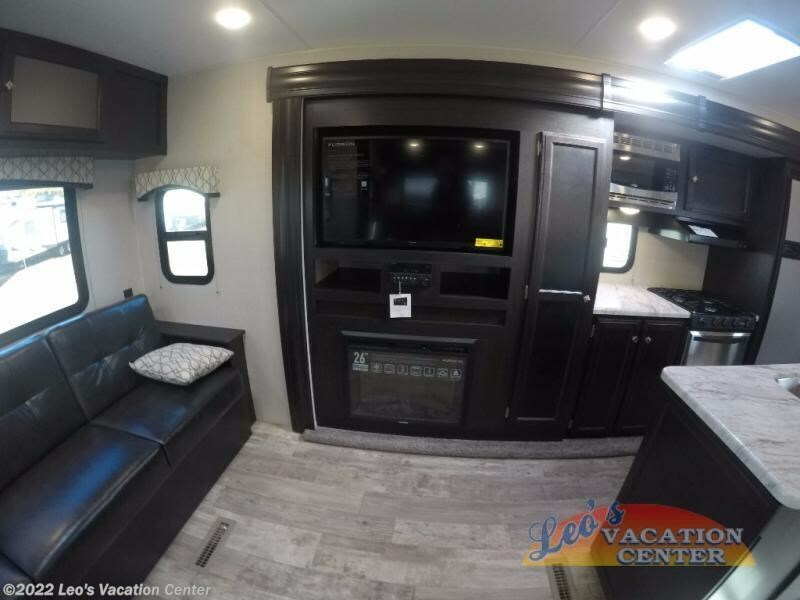 Along one the road side wall there is a TV mount. 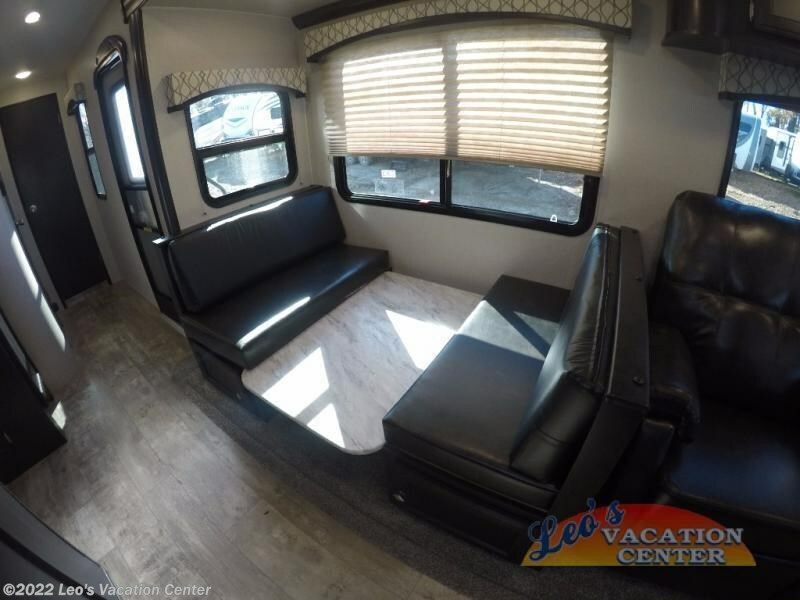 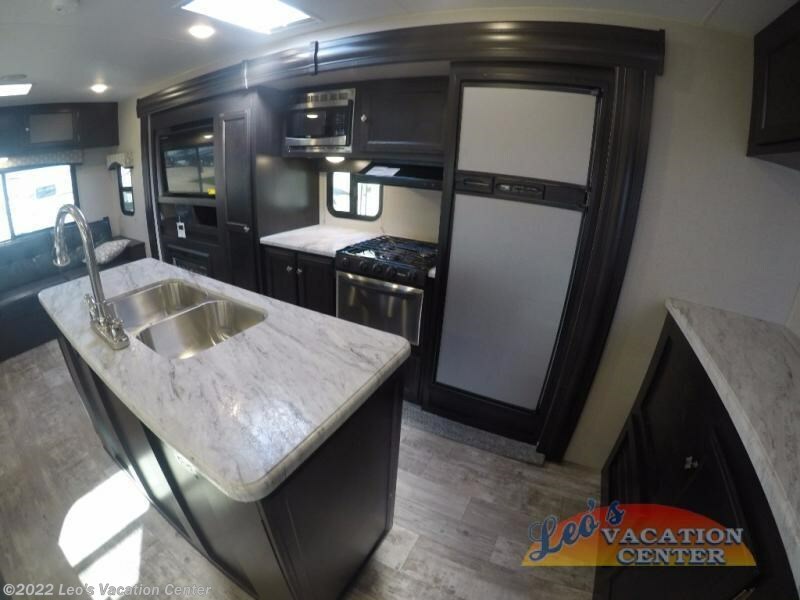 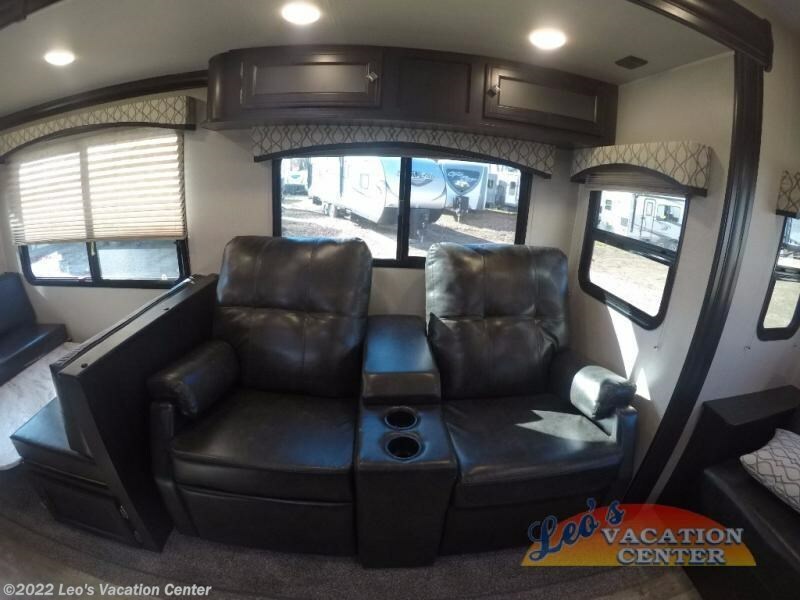 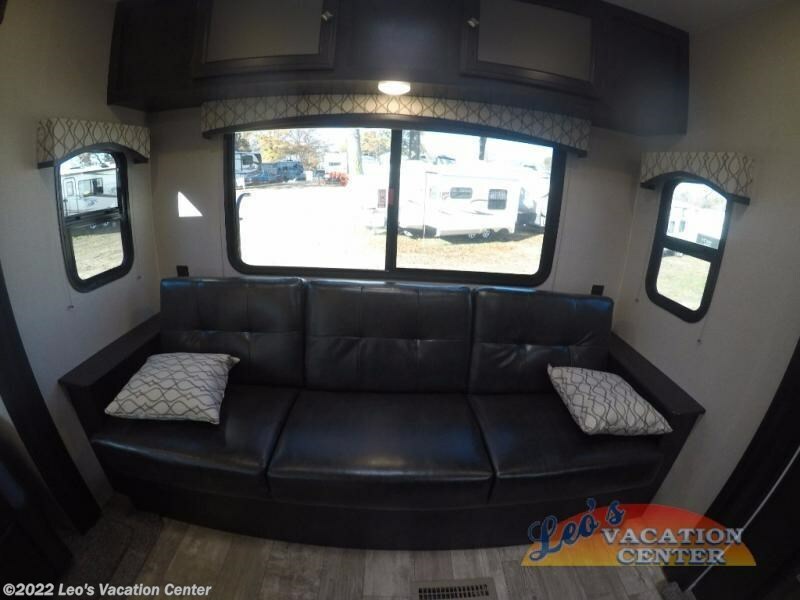 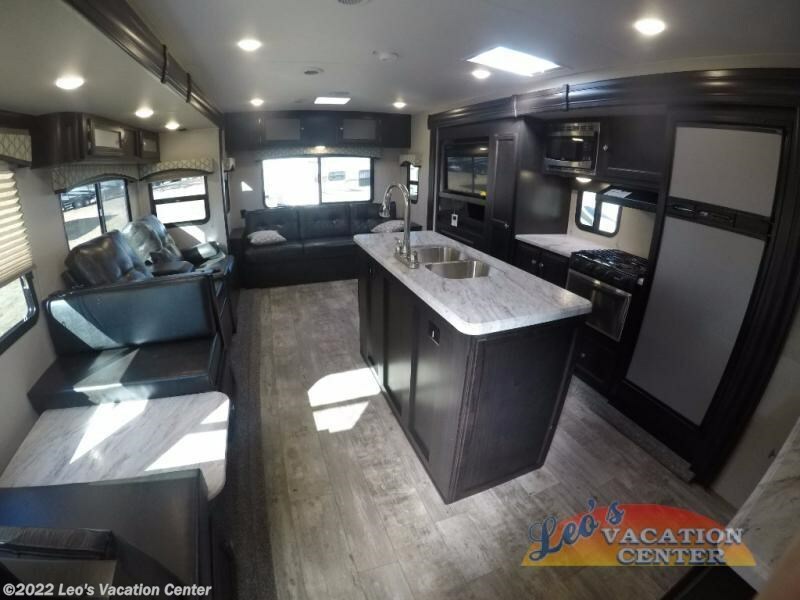 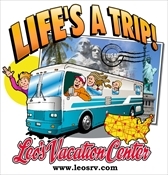 You will find plenty of overhead cabinets throughout the travel trailer as well as an exterior pass through storage area, a 11' awning and 10' awning, plus so much more! 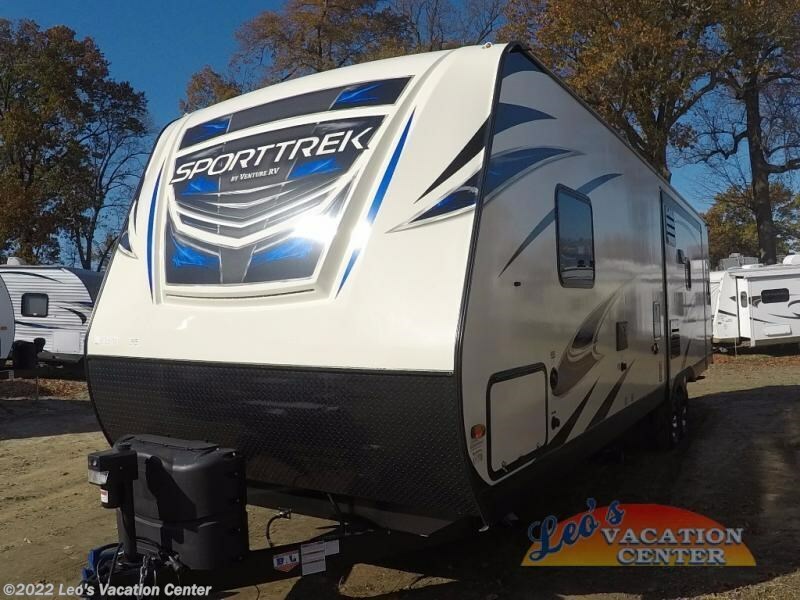 Check out Stock # 10174960 - 2018 Venture RV SportTrek 290VIK on venturervsource.com!